The craze that has raised across the globe for the Google's Chrome OS, Chromebooks and other devices, might be because we get almost everything out of what we expect from a computer as of now, in quite an affordable price tag. 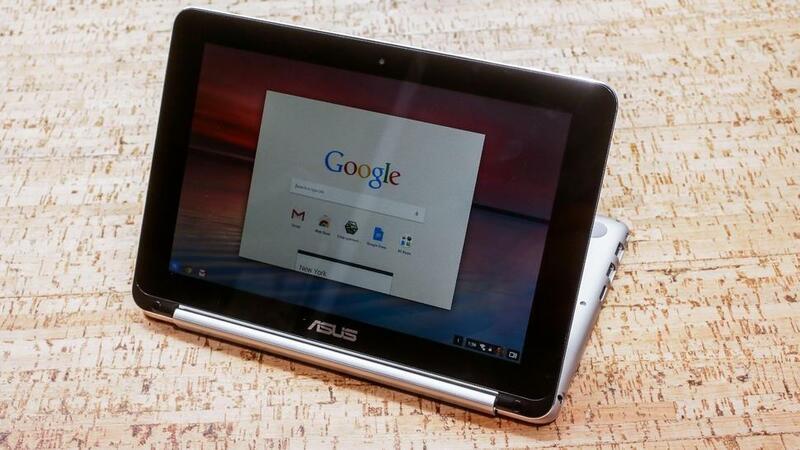 Taking Google on its stride, the Asus people have now launched a Chrome OS hybrid blending both the high-end features that ca work with low-end components. 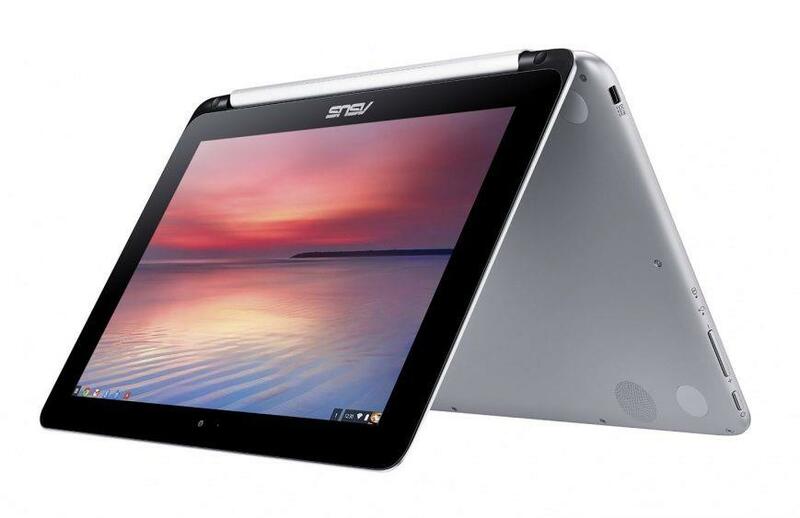 Thus the Asus Chromebook Flip C100 is really a device that has been designed for the mass to avail at a price of $249 that says 'yes' to all the requirements novices and even experts can have in their mind. The look and feel of C100 will seize your mind as soon as you unpack. Its slim and light weight body is made out of solid aluminum that gives an instant feeling of durability in comparison to those plastic body models of mostly found Chromebooks. There is a 10.1-inch display which has a touchscreen which surprised me to quite an extent as that is rare in Chrome OS devices or in the laptops that we get to obtain within this price range. But the irony is that, the Chrome OS is yet not that optimized for touch as it is in Windows 8/Windows 10. But here the touchscreen becomes an indispensable component, as the C100 model carries a 360-degree hinge, that can be folded in all directions and can be brought back also into a tablet mode, which you might have observed in Lenovo's Yoga line. Now this C100 model has a fallacy in its feature that both makes it unique and threatens its credibility. That is the hinge that makes the top half of the device to be folded in all possible directions and allows it to be brought back into a tablet mode. In this model, it all stands on a single long hinge which is as long as the entire length of the device. It appears to be quite rigid and stable when you are flipping it in the back and forth direction, but you may get a slight jerk if you tap the screen while running on a clamshell mode. The keyboard they have installed is a compact one and thus the key faces may appear quite tiny, in front of those 13-inch or larger laptops, but they feel quite sturdy and doesn't wobble much. But it might not be that useful for the long-form typing work, but if you consider the price of a 10-inch laptop it isn't all that bad. There is a second alternative onscreen input method which is the pen input field, and if you write your search terms with your finger it does the job. It has an excellent power of recognizing handwriting that is definitely praise worthy. This version of Chrome OS is all made for a a hybrid life. Whether you try the Voice search through Google or make a normal browsing over the net , it works fast. The system has been justifiably resized and well-oriented for the windows when you are flipping it between the tablet and laptop modes. You'll find small icon appearing on the lower-right corner in the screen that operates as the switch to flip between the modes of opening windows while you hold the system on your hand as a tablet. A 10.1-inch 1,280x800-pixel native resolution display makes it all more appealing through a thick screen bezel. Though the touch response varied while scrolling up and down through elongated webpages, it was overall a smooth experience except for those websites and the cloud-based apps that didn't have the touch-friendly navigation feature activated. The C100 comes with a sound set of ports and connections. You get both the USB ports, HDMI and SD card ports. As the latter ports are of the micro variety, you will need a pair of adapters. There is a built-in Wi-Fi antenna following the high speed of 802.11ac standard. It has been recorded as the first Chromebook that have been verified with the 1.8Ghz Rockchip 3288-C processor, replacing the most commonly used in other Chromebooks Core i-series chips or the Intel Celeron and even the Nvidia Tegra K1. In comparison to Samsung and Toshiba models that run 7 to 8 hours on its battery, C100 went on for 13 hours in an online video-playback test. Yes, it was indeed the slowest Chromebook as of now, but then a slower pace gives back in durability of battery life. 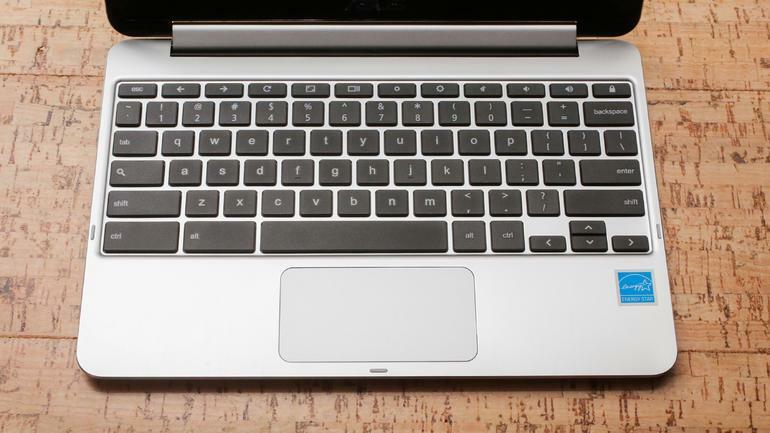 Asus Chromebook Flip C100 is protected better with an aluminum body, it has a responsive touchscreen, a hybrid hinge, and a few more hours of battery life. The best part of it is that it is inexpensive and offers much more to its value. The Touchscreen response gets jerky at times. The Rockchip CPU is a slow performer when it comes to few important tests. There are other lowest-end Windows PCs which are available even in lesser price. The C100 has Reviewing the Google Chromebookgot its own set of limitations which gets more conspicuous as a Chrome OS device. It runs basically as an online-only Web browser, within the framework of a laptop. Web-based tools like Gmail, Facebook, Linked In, Netflix,and other websites like news and classifieds will work, but the traditional software apps like Photoshop or iTunes can give you trouble, as you are not allowed to download and install the Windows software. 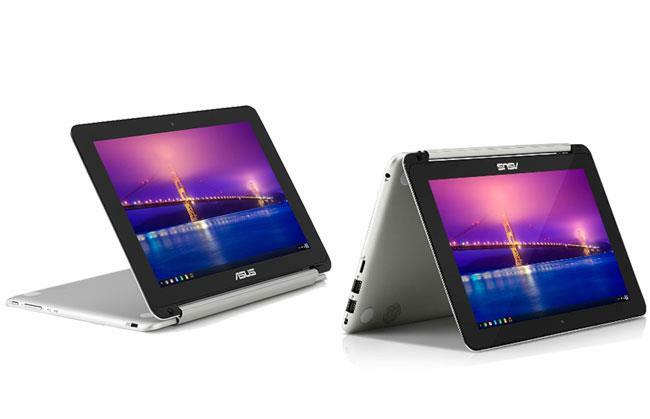 The Asus Chromebook Flip C100 is a pack of lots of latest features clubbed into a compact, cost-effective package, with a good battery life. But if you are looking for a laptop with graphic utility, it is not for you. It can be a good and handy stuff for researchers who need to be always on the search mode. Its overall a good package with the price range it offers and gives you the benefit of the basic computing experience that doesn't demand an extra performance ability in high end output.